The ebook market is growing faster as it grows larger. The International Digital Publishing Forum (IDPF) on Friday reported U.S. wholesale ebook sales for January, 2010 were $31.9 million, up 261 percent from the same month a year earlier. To put this in perspective, I created the chart at left. The chart compiles annual ebook sales data from the Association of American Publishers. For 2010, I took the latest IDPF January data and annualized it. The data is collected from only 12-15 U.S. trade publishers. This means it dramatically understates what’s really happening in ebooks, because thousands of large and small publishers, as well as tens of thousands of independent authors, aren’t reporting their data. The data also doesn’t capture ebooks sold outside traditional retail channels. The above omissions in no way invalidate the data, because as an indicator of direction and momentum, the AAP/IDPF data provides the best publicly available trending information I’m aware of. What you see from my chart is that ebook sales grew nicely between 2002 and 2007, but were really too small to register on the radar screens of most industry watchers. Starting in 2008, however, the growth rate started to accelerate, and then this acceleration continued throughout 2009 and into the first month of 2010. According to the AAP, in 2009 ebooks accounted for 3.31% of all trade book sales, up from only 1.19% in 2008. Even if sales stay flat from January onward in 2010, we’re looking at ebooks accounting for 6-8% of U.S. book sales in 2010. If sales accelerate further, a 10% monthly run rate is certainly likely by the end of this year. These numbers are dramatically higher than most reasonably-minded industry watchers predicted even a few months ago. The rosy numbers above still dramatically underestimate the impact ebooks are having on the bottom line of authors, publishers and retailers. In January, during Amazon’s quarterly earnings conference call, Jeff Bezos announced that for books it sells in both Kindle and print formats, ebooks were then accounting for 60% of unit sales. What’s driving the torrid growth of the U.S. ebook market? Amazon deserves most of the credit. In January, Rory Maher of TBI Research reported that his publishing industry contacts were telling him that Amazon was accounting for 90% of all ebook sales. Other analysts have since confirmed those estimates. The upcoming April 3 launch of Apple’s iPad, along with more aggressive moves by Google, Barnes & Noble, Sony and scores of other new ebook device makers and indie retailers, will no doubt try to chip away at Amazon’s purported 90% share. The real story is not how or if these competitors take share from Amazon. It doesn’t matter. What matters is that an ever-growing pro-ebook crowd of powerful consumer-facing companies are pulling out all the stops to help spread the joy of ebooks to every corner of this book-hungry globe. Why are consumers going ga ga over ebooks? Back in October, I blogged some of the reasons in my Huffington Post piece, Why Ebooks are Hot and Getting Hotter. I listed several reasons, such as the proliferation of exciting new e-reading devices; screen reading rivaling paper; content selection; free ebooks as the gateway drug; lower prices; and great selection. If we boil it all down to what really matters, it’s about customer experience. People who try ebooks are loving ebooks. Lest we think ebook reading is all about pricey jet set devices like the iPad, Kindle, Sony Reader and B&N nook, it’s worth considering some telling data that came out of the latest Book Industry Study Group survey. As I reported in my Tools of Change conference wrap-up, BISG found that 47% of all ebook reading is happening not on these new-fangled devices, but on ordinary computer screens. John Grisham, one of the best known thriller author across the globe has finally decided to open up all his backlist of 23 novels in ebook format. Which means that owners of Kindle, Nook, Sony ereader and soon iPad will be able to read all his backlists on their device. Is this just a small change in the direction of authors working directly working with ebook retailers like (Amazon, Apple, Google , B&N) to launch their books 🙂 My bets are that this is bound to happen in few Genre (Thriller, Romance), where the form factor of ebook readers and laptop give the end users a fine reading experience. I have decided to create a list of Authors that decide to go the ebook way. I am sure many others are debating whether or not to buy an Apple Ipad (Apple is already taking pre-orders for April delivery). 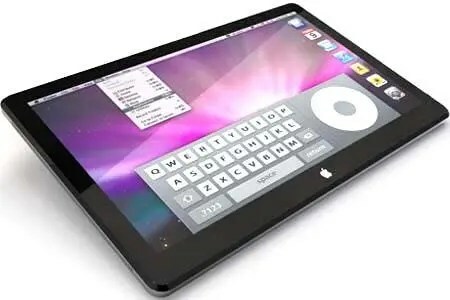 There are many features that we would have loved to have in the Apple Ipad but i still think there are several which can make this a good buy. i. Size/Weight of the device: The device definitely is bigger than Kindle. Which might be good for a better Newpaper/magazine reading experience. iii. Reading experience: Apple Ipad will not use e-Ink format that Nook and Kindle use. E-Ink based devices are supposed to provide readers a better and more comfortable reading experience. Reading in sunlight might be problematic too. It seems Apple will not support Flash. There are many rich media sites (Hulu etc.) that use flash. However, I believe that these companies anyway will have Iphone App. Apple Ipad has a huge form factor advantage. This huge screen would be great for viewing TV episodes and movies on the device. There are already various apps available on iphone App store to view your favorite TV shows on the move. Since the device can connect to internet and will have itune store available on the device there will not be any hassle of synching the device to your PC/Laptop. And you all of a sudden have access to thousands of Apps available through App store.